The results of this study from the Northwestern University’s Feinberg School of Medicine and the Ann & Robert H. Lurie Children’s Hospital of Chicago, were published in the latest issue of the journal JAMA Network Open. The team of researchers looked at a population of over 40,000 American adults over the phone and via internet between October 2015 and September 2016. All the participants were asked to report if they had any food allergies and were asked if the diagnosis of the said food allergy was ever confirmed by a doctor. They found that only around 10.8 percent actually had a food allergy. However, 19 percent of the study population reported as having a food allergy. The 10.8 percent of the population with the allergies confirmed about the symptoms of a food allergy that include hives, swelling of the lips, constriction of throat and difficulty breathing, chest pain etc. The others who did not actually have food allergies reported non-specific symptoms such as stomach pain, runny nose, nausea etc. Commonest foods that people were allergic to included shellfish to which 7.2 million adults were allergic to. Other foods that caused allergic reactions in adults include peanuts, milk, tree nuts, eggs, wheat, fish, soy and sesame seeds. The survey found that almost half of all the proven cases of allergies were developed after the person reached adulthood and 38 percent had a serious case of food allergy which required emergency medical attention. The team emphasizes that there are many people who believe they have an allergy to certain foods and are self diagnosing themselves. The team believes that all diagnoses should be confirmed by a doctor and people with confirmed allergies need access to the emergency drug epinephrine that could save lives. People with self diagnosed false allergies could be depriving themselves of a healthy and balanced diet, the authors of the study believe. The study estimates that across the nation there are around 26 million individuals living with a food allergy. Almost the same number of people also believes they have food allergies. Experts have said that people who are allergic usually have antibodies called the IgE or immunoglobulin E levels raised in their blood. However being intolerant to a food item could be non-mediated by this allergic process. The team explains that people with a milk allergy may actually have lactose intolerance. This means that their bodies are incapable of breaking down the lactose sugar in milk. The experts say that actual food allergies are difficult to pinpoint but are in existence. They should be diagnosed early and precautions need to be taken to prevent emergencies. The team emphasises that the lack of accurate diagnosis of food allergies is a concern. Ruchi Gupta, a public health researcher and professor of pediatrics at the Northwestern University Feinberg School of Medicine in Chicago, lead author of the study said in a statement, “We were surprised to find that adult-onset food allergies were so common. More research is needed to understand why this is occurring and how we might prevent it.” “Self-diagnosis of a food allergy is not a good idea and it is imperative to visit a specialist if there are concerns about allergic reactions,” she added. 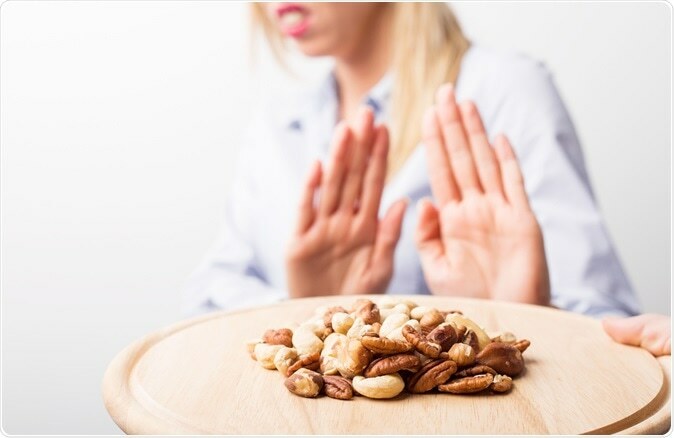 “A false diagnosis can result in excluding foods from the diet unnecessarily, whereas on the other hand, ignoring symptoms of a food allergy can put patients at risk of severe reactions on exposure to trigger foods.” “If food allergy is confirmed, understanding the management is also critical, including recognizing symptoms of anaphylaxis and how and when to use epinephrine,” she said.